• Provide support for MS SQL and Oracle Database Servers of both development & mission-critical Production systems. • Configure & maintain database servers & processes, including monitoring server health & performance to ensure high availability. • Establishing the needs of users & monitoring user access & security. • Installation of Security & Product patches as required. • Analyze and solve issues in DB environments. • Refine & automate regular processes, track issues & document changes. • Manage and test backups of the DB servers. • Tune queries and table indexes and apply other performance enhancements. • Assist with report creation and adhoc queries. • At least 1 years of MS SQL and/or Oracle Database Server Administration experience. • Knowledge of MSSQL Mirroring & Replication. • Knowledge of Oracle RAC & Data Guard. • Experience with Performance Tuning & Optimization, using native monitoring & troubleshooting tools. • Experience with Backups, Restores & Recovery and High Availability models. 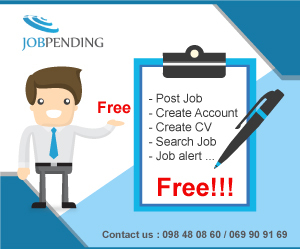 • Experience in Banking and Finance Payment related companies.